A System Administrator of company D who deleted SYSTEM tablespace by mistake and make DB can not be open. Unfortunately, there is no RMAN backup available. Therefore, for company D try to use PRM-DUL to recover all data. In No-dictionary mode, we have to select DB Character Set and DB National Character Set. Because of while losing SYSTEM tablespace, database cannot find character set information. Then click scan button. Then PRM-DUL will scan all segment header and extents in datafile, and record it into SEG$.DAT and EXT$.DAT. In Oracle, each partition table or non-partition table has a segment header. Once we find segment header, we could find the whole table extent map information. Via extent map, we can get all record. There is one exception, for example, there is one non-partition table that is stored in two database files. The segment header and half data are stored in datafile A, and the others are on datafile B. While system tablespace and datafile A are lost, PRM-DUL couldn’t find segment header associated with problem table, but it can scan datafile B and get the rest extent map. In order to recover data via segment header and extent map in no-dictionary mode. PRM-DUL will create two files: SEG$.DAT(stores segment header info) and EXT$.DAT(stores extent info) ,which is also recorded in PRM-DUL embedded database. After scan, there is database icon on the left. It is not necessary to use mode “Scan Tables From Extents” at the first time, unless you can’t find your data by “Scan Tables From Segment”. Scan tables From segments should be your first choice. After scanning tables from segments, there will be a tree diagram on the left. Scan Tables is for constructing the data based on segment header in SEG$. The name of each node in the diagram is named by obj+ DATA OBJECT ID. Intelligence Analysis will analyze 10 records and display the results. These results will help client to know the column information. As in the picture, the there are 10 records which had been displayed all. 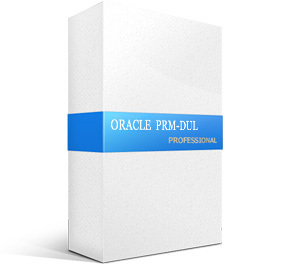 If PRM-DUL cannot recognize the column’s data type , you can specify data type by yourself. PRM-DUL generated unload scripts, and these scripts can be only used by PRM-DUL support engineers. In “Non-Dictionary Mode”, Data Bridge is also applicable. Comparing ” Dictionary Mode”, the manger difference that the user can define the type in data transferring. As below picture, the column type is UNKNOW. These types might be PRM-DUL unsupported types for example: XML and etc. If the user know the data type in this table (from schema design documents), it is necessary to specify the correct types manually. User D deleted the system tablespace and part of user tablespace datafile by mistake. In this circumstance, part of user data table was deleted, and this might includes datafile which stored segment header. Therefore it is better to use “Scan Tables From Extents” than” Scan Tables From Segment Header”. Go to Recovery Wizard, select No-Dictionary mode，and added all usable data file. Then process them to scan database. User D chooses ASM instead of other filesystem. Since there are many bugs in version 11.2.0.1, it may happen that ASM DISKGROUP cannot be mounted or it does not work after repairing ASM Disk Header. In this circumstance, user can use ASM Files Clone feature of PRM-DUL to rescue datafile from damaged ASM DiskGroup directly. Enter ASM Disks Window, and click SELECt…to add ASM Disks. For example: /dev/asm-disk5(linux). And click ASM analyze. ASM Files Clone feature will analyze ASM Disk header, in order to finding Disk group file and File Extent Map. All the information is recorded into PRM-DUL embedded database. PRM-DUL can collect all Metadata, and analyze to show diagram. After analysis of ASM Analyze, PRM-DUL will find the file list in Disk groups. Users can select the datafile/archivelog which need to be cloned to destination folder. There is progress bar while file cloning. When using PRM-DUL in ASM of ASMLIB?